When my fourth package from Sample Room arrived, Cure was the product that I used right away. Of course, I took a few snap shots first. LOL! 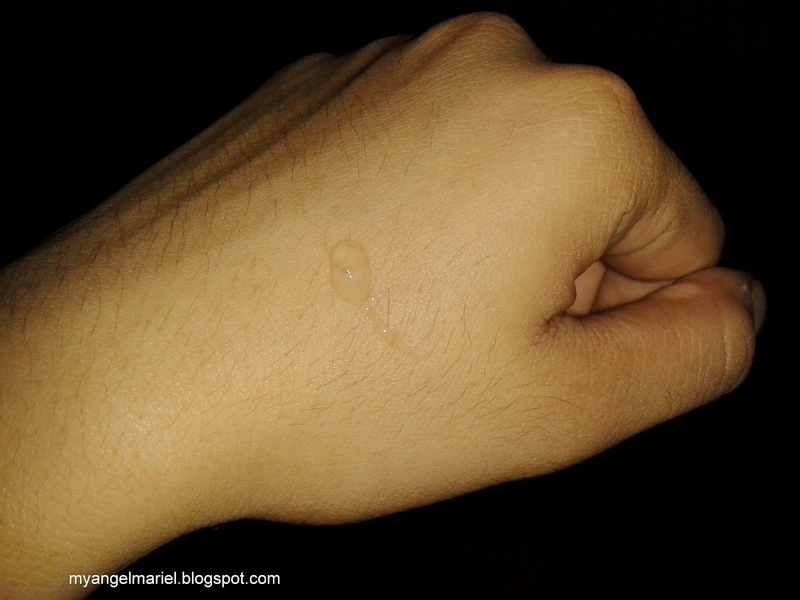 I knew of Cure for a long time and how it has been recommended by popular cosplayers for skin care! Now that it's available here in the country, I got so excited to try it out! Sample Room gave out five sachets of Cure. A sachet is good for one time use. Cure samples. 25 SR points. 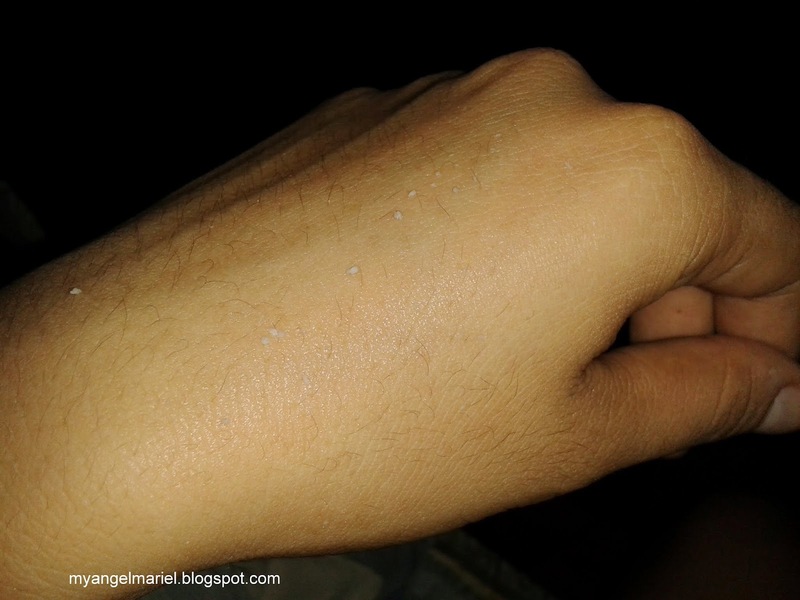 It's my first time to use a gel-based exfoliator, so I didn't know how to apply Cure on my skin. Good thing the samples came with an instruction leaflet! The directions at the back of the sachets are written in Japanese. 1. Wash your face then towel dry very well. 2. 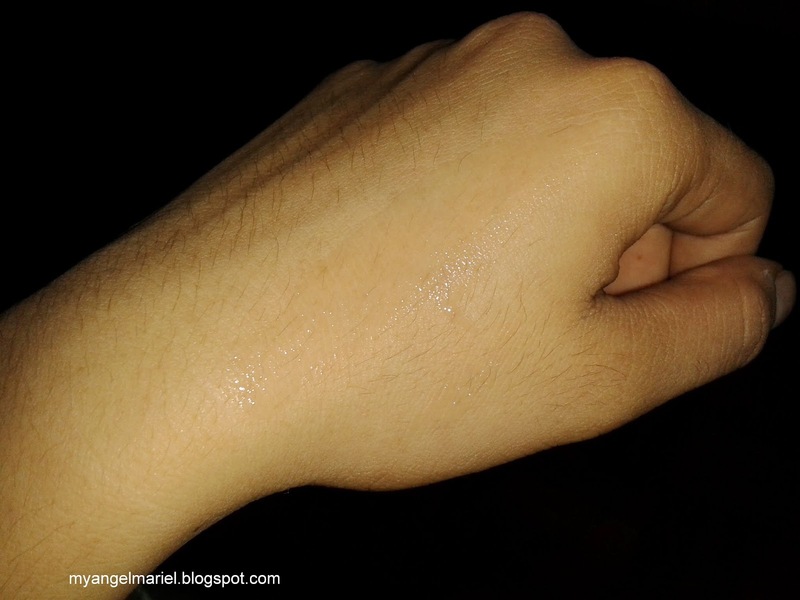 Pump a dab of gel on your fingertips. 3. Apply on your face and massage in a circular motion for 30 seconds to 1 minute to remove your dead skin. 4. Rinse face with water then follow with your daily skin care routine. Then massage in circular motion. Those white stuff are my dead skin. Important thing: Cure doesn't work on wet skin. So make sure your skin is very dry before applying. Me, I washed my face first then I wait for at least 10 minutes to ensure that my skin is completely dry. The after-feel? Squeaky clean face that is soft and smooth to the touch! My blackheads are gone, too. Cure is great! 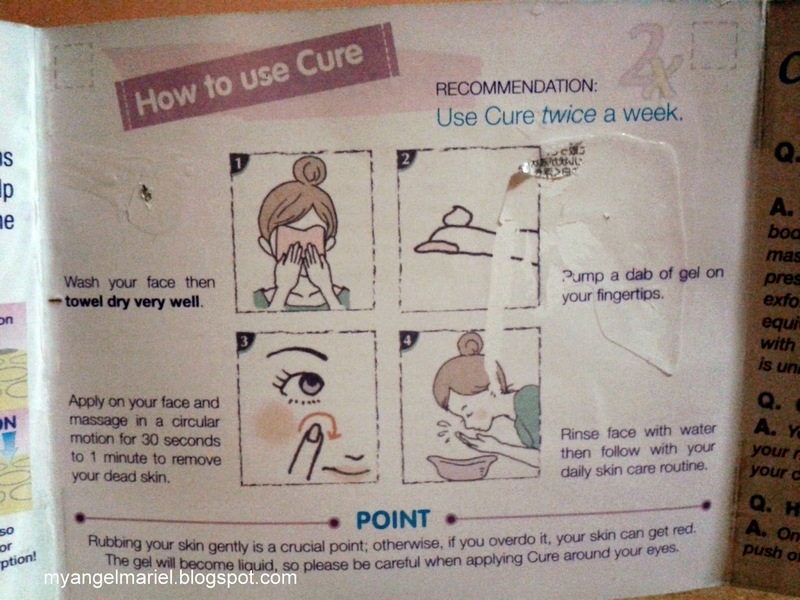 The recommended usage of Cure is only twice a week. I have used the product for three times now, at 3-day intervals. Cure didn't do anything to my pimples instantly. But I have noticed I have less breakouts after a few days. I know have clearer skin! I will save up to buy the full bottle worth PhP1,500. If it's for better skin, then there are no second thoughts! Of course, the raves of my favorite cosplayers have the biggest impact on this decision! LOL! Here is the review I left in Sample Room. Take note: I posted this on the day I got the package! It's the first time I did that, to write a review after using the product just once!